The Arthur Hills golf course at Paraiso Del Mar in La Paz, Mexico offers a gorgeous golfing locale for golfers. The golf course is part of an extensive resort and residential development and is stretched over a sandy part of the peninsula across from La Paz. 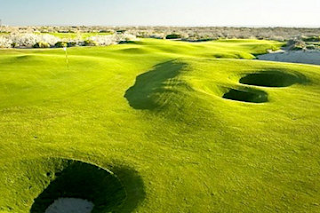 The course is almost a two-hour drive from the golf-centric Cabo San Lucas. Take a look at these reviews of the Arthur Hills course.